Three Big Matchups On Tap For You Tonight! PORTLAND- The Maine Mammoths (2-8) host the Carolina Cobras (7-3) in Week 13 in what will be the teams’ second and final time facing each other. The Mammoths were looking to pick up a hot streak, as they defeated the Lehigh Valley Steelhawks (0-9) two weeks ago, but that was abruptly put to an end as the Jacksonville Sharks (7-4) defeated the Mammoths 51-21. The last time the Mammoths and Cobras played each other, Mammoths Quarterback Jonathan Bane threw 18-of-37 for 217 yards, five touchdowns, and two interceptions. His top receiver on the night was Edgar Poe Jr. with six receptions for 70 yards and two touchdowns. Shortly behind Poe Jr. was Derrick Macon with five catches for 79 yards and two touchdowns. Devin Wilson totaled five receptions for 57 yards and one touchdown. Those three receivers averaged over 10 yards per catch on the night. Fullback Desmond Maxwell rushed the ball two times and got no yards, however, he caught the ball one time for seven yards. In their victory against the Steelhawks two weeks ago, Jonathan Bane, for the Mammoths, tossed for 237 yards on 16 completions for five touchdowns and one interception, which was one of his best games in the season so far. Devin Wilson was the star of the show, racking up nine catches for 145 yards and all five touchdowns from Bane. Rob Brown caught five passes for 62 yards. Edgar Poe Jr. had one catch for 20 yards, and Devante Jenkins totaled one reception for 10 yards. The Mammoths look stronger than what their record shows, but will they be able to prove that against the #2 Cobras this weekend? The next Mammoths game after this weekend is on Saturday, July 14, 2018, at 7:00 pm (ET) at the Cross-Insurance Arena as they host the number three Columbus Lions (6-3) for Halloween In July. JACKSONVILLE- The Jacksonville Sharks (7-4) travel to Allentown, PA this weekend to face the Lehigh Valley Steelhawks (0-9). This is the second and final time that the Sharks have faced the Steelhawks, each team having the home field advantage once. The first time these teams met, the Sharks dominated the Steelhawks 44-17 in Jacksonville, Florida. This week, the Steelhawks are at home and are improving. Could they possibly get a victory this weekend against the Sharks? The Steelhawks defense held Sharks Quarterback Adrian McPherson to 7-of-17 for 98 yards, two touchdowns, and one interception, which was one of his worst games as a Shark. The Sharks leading receiver in catches and yards was Chris Gilchrist with three receptions for 41 yards and one touchdown, which ties Kendal Thompkins in touchdowns, who had one reception for 40 yards, and one touchdown. Derrick Ross had one of his best games as a Sharks leading up to that point with 11 rushes for 44 yards and two touchdowns. The defense put a beating on the Steelhawks quarterback, which is why the Sharks were able to put a dominating 44 points on the board against the Steelhawks 17 points. Jermiah Price led the Sharks in tackles and sacks (6.5 tackles, four sacks). Charlie Hunt had a great game, totaling two interceptions for a combined 59 yards and one touchdown. The Sharks had a sloppy game on offense in Week Six, but they have beat the top teams in the league since then and proved that they can and will do a much better job, as they crushed the Mammoths last weekend in the second half to earn their 100th victory. If the Sharks defeat the Steelhawks this week, they will finish complete their sweep against the Steelhawks and put them at 0-10 on the season, which would be the worst record in NAL history. For the first time in franchise history the Massachusetts Pirates (8-3) will take the field in Columbus, Georgia in sole possession of first place in the National Arena League when they face the Lions (6-3) in the Columbus Civic Center this Saturday at 7:00 pm. The Pirates lead the season series two games to none with both wins coming in the DCU Center in Worcester, MA in thrilling fashion. Both ended with quarterback Sean Brackett throwing a touchdown pass to wide receiver Lavon Pearson in the closing seconds. In the May 6 contest the Pirates trailed by 15 points in the second half. Brackett’s 10 yard pass to Pearson with five seconds to play secured a 44-37 victory. In the June 16 game Pirates defensive back Kiante Northington forced a fumble and Darryl Render recovered it with 24 seconds left. There was 4.4 seconds on the clock when Pearson caught a two yard slant and dove over the goal line for a 62-55 win. The Pirates enter the game on a three game winning streak coming off a 53-34 win over the Lehigh Valley Steelhawks in a game where seven Massachusetts receivers caught passes and Brackett threw seven touchdown passes. Columbus defeated Carolina last weekend 57-55 as Quayvon Hicks ran for 60 yards and three scores and Jarmon Fortson added three TD receptions. The Pirates are third in the NAL in scoring and points allowed, averaging 54.1 points per game on offense while yielding 44 a contest. The Lions rank second in the league scoring 55.8 a night and allow 45.9 a game, fourth best in the NAL. The game will feature two of the league’s top quarterbacks in Brackett and Mason Espinosa. In 10 games Brackett has completed 184 of 311 attempts (59.2%) for 2,284 yards with 54 touchdowns and 15 interceptions. Espinosa is completing 67 percent of his passes (200 of 297) with 50 TD’s and three interceptions for 2,235 yards in nine games. If you are looking for offensive production look no further than the Pirates Bones Bagaunte who leads the NAL with an average of 122.4 total offensive yards per game and the Lions Durron Neal, second at 115.1 per contest. The NAL’s top rusher is Hicks who has 250 yards and ten touchdowns on 62 carries. The Pirates are hoping to slow him down with the addition of R.J. Roberts. In his first game as a Pirate Roberts posted three and a half sacks, a forced fumble and a blocked field goal against Lehigh Valley. The receivers on both teams are among the leagues’ best in several categories. Devonn Brown of Massachusetts tops the NAL averaging 19.5 yards per catch and total receiving yards (791) while the Lions Fortson has the most receptions (64) and receptions per game (8.0). Brown leads the Pirates with 17 touchdowns on with 41 receptions for 791 yards. Mardy Gilyard has 48 receptions for 455 yards and 12 scores, Lavon Pearson 47 catches, 587 yards and 14 TD’s and Bones Bagaunte 33 grabs for 332 yards and nine touchdowns. The Lions receivers are just as impressive. Fortson tops his team with 64 catches for 553 yards and 18 TD’s, Triston Purifoy has caught 60 balls for 739 yards and 11 scores and Durron Neal has compiled 47 receptions for 710 yards and 19 touchdowns. 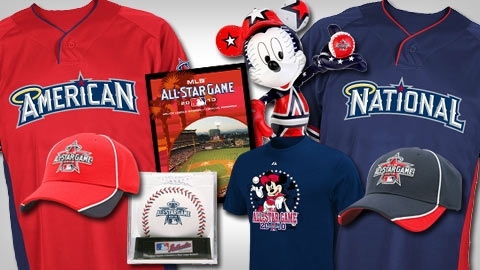 MLB Shop 2018 All-Star Gear on Us Sports Net! Shop 2018 All Star Gear on MLB Shop! 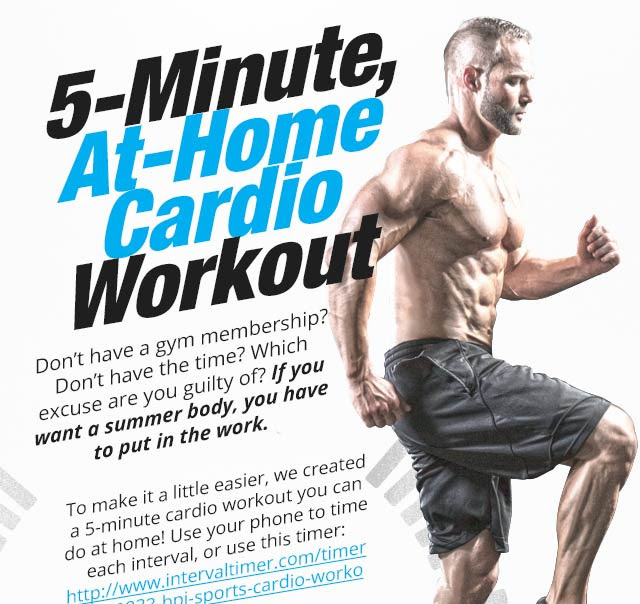 Try This 5 Minute Home Cardio Workout For The Ultimate Beach Body! © BPI Sports All Rights Reserved. Old Navy’s Let Your Flag Fly sale is the perfect opportunity to stock up on $2 flip flops, $4 tanks, $6 tees, and $8 dresses & shorts for the whole family. Find last-minute 4th of July outfits, or stock up on summer essentials to last all season long. Plus, save up to 60% across the entire store until 7/5. Here are a few of our favorite picks from the Let Your Flag Fly sale. Nothing says summer quite like a fun pair of colorful flip-flops. Grab a Red pair for the 4th, a Heavy Metal pair for a backyard BBQ, and a Blue Mood pair for your next seaside adventure. The embossed thong upper strap and firm foot bed keeps him moving all summer long. Keep your cool even when the temperature is anything but with this super comfortable high-lo tank. Its relaxed fit and swingy, A-line silhouette moves with you in the summer breeze and doesn’t cling like other tanks tend to. Grab a couple staple colors like Cream and Black and a few tropical colors like Boysenberry Juice and Briquette. Guys, meet your new favorite summer tee. The soft, cotton-blend jersey fabric delivers ultimate comfort. The contrasting rib-knit crew neck and patch pocket at chest give this tee added style. Throw on with canvas shorts for a classic summer look. These soft, lightweight chino shorts are sure to be in heavy rotation this summer. The cotton chambray fabric makes these shorts a no brainer on days where traditional denim is too heavy. From tees and tank tops during the day to sweaters and sweatshirts at night, these shorts look good with all of her summer threads. 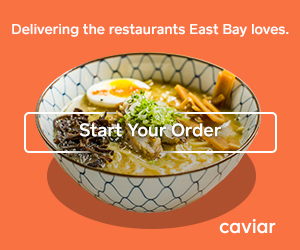 Your first delivery fee from Caviar is FREE! "the achieving of desired results, or someone or something that achieves positive results". Despite the actual definition, the word "success" has now been associated with monetary rewards by society. Often times people think that to be successful means to be rich. The truth is, one must first be successful before he can ever be rich. Once a person fully understands that concept, he allows himself to reach his full potential. Success is a habit, and money is attracted to the habit of success. Below is a list of 8 things I believe you can start applying today, that will help you build the habit of success in your life. You will not accomplish anything in life without first making the decision to commit to accomplishing that thing. You will not get healthy without FIRST committing to a healthy lifestyle. Before you can become successful, you must first commit to success. Most people say they want "it", but they don’t ever commit to getting "it", and to making the necessary changes needed to get "it". Talk is cheap, you MUST make the commitment first and figure out the "how-to" later. Convince yourself that success is attainable, and that it’s not an impossible thing in your life. Don’t credit your failures or shortcomings to "Bad luck" or to a "lack of opportunities". You must take responsibility for your failures, and understand that the reason you are not where you want to be in life is due to a lack of commitment to success. Plain and simple. Most people don’t see the value in writing their goals down on paper. "I have my goals in my head" they say. We live in a time where we are exposed to an overflow of information every day. Your goals WILL get lost somewhere in the chaos of all of that information if you don’t write them down on paper and revisit them EVERYDAY. Write down your goals on a piece of paper once when you first wake up, and once before you go to sleep everyday. Get in the habit of focusing your attention on your goals. Some people are not even able to commit to writing down their goals on paper twice a day, and then they wonder why they cannot achieve them. This isn’t some law of attraction stuff (although that stuff works). This is a method to get your mind focused solely on your goals and off of the latest social media buzz or nonsense. It’s very easy to get side tracked nowadays. I recommend you try writing your goals down twice a day for 1 week straight and if somewhere within that week you stop doing it, then that’s how you’ll know that you have a problem with the habit of success. Set a financial target/goal for yourself , and then do the math to figure out how to get it. This is straight out of the Grant Cardone playbook and I credit it 100% to him. First you must figure out what you have to offer to the world, then you have to figure out "Who’s got my money". For example, if I am someone who’s very good at athletics, and can offer athletic training, then I will target athletes, that’s "who has my money". After you do that, you must figure out how much money you can make from what you have to offer. If as an athletic trainer you make 70$ per hour, then you must use that to break down the math of how to reach your financial target. For example, let’s pretend that I am an athletic trainer, my target audience (Who got my money) are athletes, I charge 70$ per hour and my goal is to make 100,000$ in 1 year. First, I will divide my goal (100,000$) by my hourly income (70$) to determine how many hours I must work to reach my target. Second, I will divide the hours I must work to reach my goals (1,430) by the number of days i have set for myself to accomplish my goal (365) to determine how many hours per day I must work to reach my goal. If you are charging 70$ per hour, and are training 4 clients per day for only 1 year you will reach 100,000$ in that time. Once you break down the big numbers, you will see that they are not as big as we think they are. Do the math, to make the big numbers seem smaller. The amount of time people spend consuming junk is ridiculous, and I am guilty of it as well. I know it’s hard to look away when Kanye West is going wild on twitter, I understand that. With that being said, you must counteract the junk that you are consuming by gaining more useful knowledge and information. There is no shortage of great content out there for people to learn from. Rather than spending all of your time watching cat videos on YouTube, you’d be better off learning from people like Grant Cardone, Gary Vee, Bob Proctor, who are consistently dropping amazing and useful FREE content everyday. Invest in yourself and in your personal development. I recommend the book Think & Grow rich for anybody who is looking to get started in moving towards the direction of success. DO NOT overlook the power of a good book. This is very important for people who are just getting started in their careers. You must find someone who you want to live like and study everything that they do, did & are going to do. You must find people who are great at what they do and emulate them. The average Canadian makes 51k per year. There is a cycle that is going on and we are constantly falling into this cycle of mediocrity because we are being taught the wrong information. Most people want to become millionaires, but are getting their life advice from someone who makes 51k a year… That doesn’t add up. You must forget everything that you have been taught about money, and find someone who can actually teach you about how to make it in the quantities you want. If your goal is to be a millionaire, then go get advice from a millionaire. If you don’t have access to any millionaires, then follow people like Grant Cardone, and Bob Proctor who can mentor you through the unlimited amounts of content and information that they put out. Bad habit is the kryptonite to success. People love to hang out with toxic people, drink toxic beverages, and waste time being unproductive in toxic environments. This isn’t a judgement of anyone, nor is it a question of morality… this is an assessment of poor time management skills. How are you spending your time? And with who are you spending it? I recommend that you stop giving your time away, and focus on spending it on income producing activities, or personal development. The people, and places that you give the most time to will directly influence the growth or lack thereof in your life. Become stingy with your time, and value you it the same way that you value the worthless pieces of paper known as money. This plays into the previous point of getting rid of the bad habits, and the waste of time in your life. To get rid of something is difficult; but to replace something is easy. Once you get rid of the toxic parts of your life, look to replace them with something positive. Network with like-minded people who are looking to achieve the same things that you are. Create a mastermind group with someone who supports your goals and ambitions, whether it’s with your mom, uncle, cousin, girlfriend, etc. Find someone who supports your visions, and meet with them regularly. You will see a HUGE difference in your life and in their lives as well. This last one is for all you dirty folks out there, CLEAN YOUR MESSY ROOM. All the moms out there will thank me for this last point. A messy room is a representation of a messy mind. Clean your room, you will notice a big difference in your overall emotions. 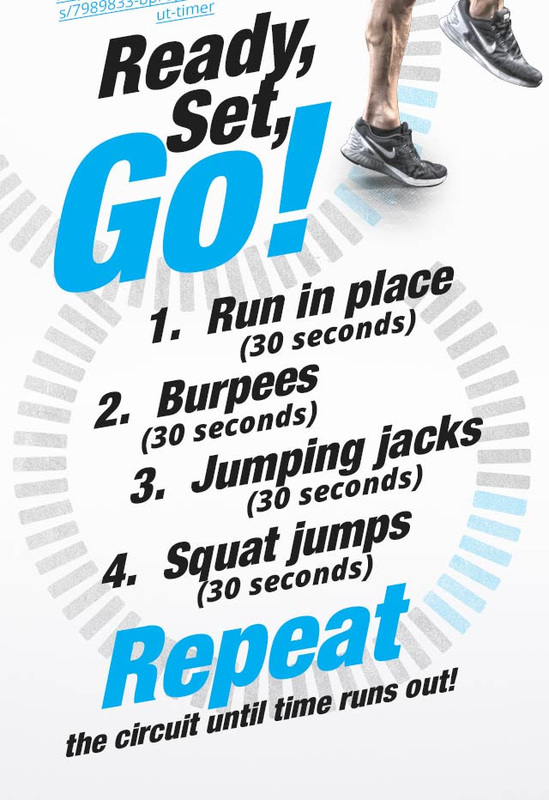 Give it a try and you will thank me later. These are few things you can start doing today, to start building up the habit of success in your life. Most people think success is a crazy, unattainable thing and that is not the case. We are all capable of success. Take responsibility for any shortcomings you may have and start working towards success. Thank you for reading, be sure to follow me on Instagram @Thedonshraify for more posts like this. Presented on US Sports Net By CoachTube Volleyball! Improve your volleyball team's offensive abilities with this detailed skills and drills tutorial shared by veteran volleyball coach, Jim Miret. In over 50 minutes of volleyball instructional videos, watch how a range of collegiate and club coaches show you how to run an Out of System drills to fine-tune your team's performance. This volleyball coaching course is designed for the intermediate/advanced volleyball coach interested in developing better out of system options. Jim is not only the Head Coach of Front Range, he is also the coach who has been in the Front Range program the longest. He coaches 18 Black. Jim's list of achievements is long and covers many areas of volleyball. In 2003, he was named Junior Coach of the Year for the RMR and USA Volleyball; it was his second award of this title from the USAV. In 2006, Jim coached Black to a championship at AAU National Championships – the first team in the region to win a Gold medal there; in 2005, they won the Bronze. In 2004 and 2005 his team won the regional championship - the 4th and 5th time out of 6 years they did so. In 2002 Jim had a banner year, winning four gold medals on one season - the 18 Open gold at the Crossroads National Qualifier, the 18 Open gold at the Tampa Bay National Qualifier, the 18 Open gold at JOs and the gold medal at the NORCECA tournament as the Head Coach of the USA Youth National team. In addition, Black went undefeated in region and national play from Crossroads through JOs, including winning the RMR championship. Our mission at BPI Sports is to help people reach their fitness goals. You may think that it’s just a marketing ploy, and who could blame you? There are hundreds of companies out there claiming the same thing. The difference at BPI is that we practice what we preach, and this story is proof. A little over a year ago, National Sales Director, Whitney Reid, befriended an employee at Zona Fresca, German Rios. The restaurant is a go-to for Whitney thanks to their bodybuilder-friendly chicken and rice meals, and he was stopping in so often, German took notice. German was trying to put on muscle and lose weight, so when he learned that Whitney worked at BPI Sports, he asked for help. 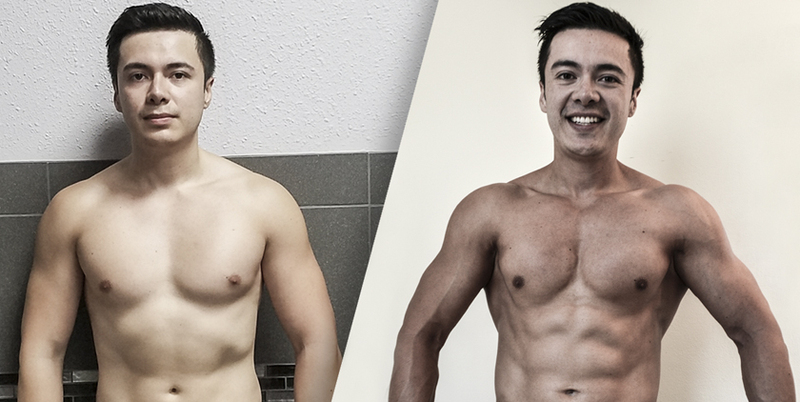 German was a self-proclaimed newbie at the time, with trouble staying committed to his fitness goal. Whitney started explaining the basics about how the body works and the importance of a good training program, nutrition plan and the right supplements. Every time he came in to Zona Fresca, he would ask German for an update. He would answer German’s questions and offer advice on how to keep improving. The result? Well, just look at the photo at the top of this blog! ---------------- Summary ---------------- In this video, cancer researcher Ty Bollinger speaks with Dr. Bradford Weeks about if cancer patients actually die from their treatments as opposed to the cancer itself and if tumors could be a symptom of something else going on in the body. The full interview with Dr. Weeks is part of "The Quest For The Cures Continues" docu-series. [Video Below] -------------------------------------------------- About The Truth About Cancer -------------------------------------------------- The Truth About Cancer’s mission is to inform, educate, and eradicate the pandemic of cancer in our modern world. Every single day, tens of thousands of people just like you are curing cancer (and/or preventing it) from destroying their bodies. It’s time to take matters into your own hands and educate yourself on real cancer prevention and treatments. It could save your life or the life of someone you love. About Ty ------------- Ty Bollinger is a devoted husband, father, a best-selling author, and a Christian. He is also a licensed CPA, health freedom advocate, cancer researcher, former competitive bodybuilder, and author of the best-selling book "Cancer - Step Outside the Box," which has sold over 100,000 copies worldwide. After losing his mother and father and several family members to cancer, Ty’s heartbreak and grief coupled with his firm belief that chemotherapy, radiation, and surgery were the NOT the most effective treatments available for cancer patients led him on a path of discovery. He began a quest to learn everything he possibly could about alternative cancer treatments and the medical industry. What he uncovered was shocking. On his journey, he’s interviewed cutting-edge scientists, leading alternative doctors, and groundbreaking researchers to learn about hidden alternative cancer treatments. What he uncovered help to create The Truth About Cancer and its 3 awe-inspiring docu-series’:”The Quest for The Cures”, “The Quest For The Cures Continues”, and “The Truth About Cancer: A Global Quest.” Ty has touched the hearts and changed the lives of thousands of people around the world. Ty speaks frequently at conferences, local health group meetings, churches, and is a regular guest on multiple radio and TV shows and writes for numerous magazines and websites. Minding Your Business Winning the World Cup? US Sports Net Featured Partner TICKET NETWORK! Being A BPI Fan Now Comes with More Benefits! Protein Fad or Protein Fact? Don't Just Go To The Gym, Get Results! 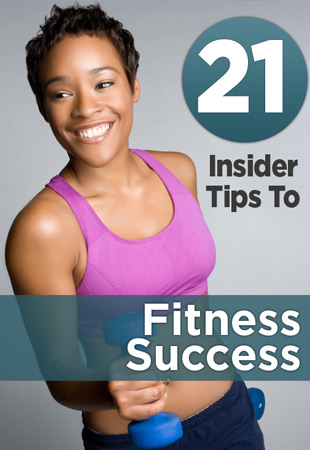 Be proactive about your Health and Fitness! FreedomPop Wireless 20% Off Coupon Inside!